This is an unmissable episode of the podcast. 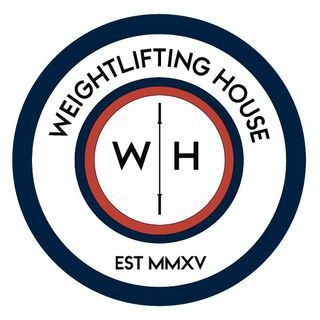 Dr Quinn Henoch is probably the biggest name in weightlifting when it comes to physical therapy. His combination of education and time spent in the gym is unparalleled. We spoke about the limitations of biomechanics in the squat and to what extent we should bother chasing 'the perfect squat', technical breakdown in the jerk, what science says about warming up, and a whole host of other fascinating topics. But seriously, it is very gratifying to see Quinn has progressed professionally to the point where it would an arguable matter to say he is probably the best Physical Therapy clinician involved in a serious way specifically with Weightlifting. Quinn trained with me for a short time prior to finishing his PT degree and it was already easy to see that his love if the sport and his inquisitive nature provided a context for real immersion in what it really takes to be good or great in our sport. It was fun to listen to this podcast and hear all of the practical knowledge Quinn has now. He speaks of being trained in PT school as a generalist. Clearly, he is now a terrific example of how objective data gets run through the gauntlet of practical everyday training until the real fundamental system (?) he now demonstrates as a resource for our sport has been derived. He's the real deal in a world full of "NON" real deals. Refreshing and insightful. First of all, let me say I am very disappointed that Quinn failed to mention my name at all. Very chagrined.